But the pace of regular wage growth – excluding bonuses – has slipped back after reaching 2.9% in the previous month’s set of figures – which was the best increase since 2015. It could further douse expectations of an interest rate hike this summer – already dampened by indications of sluggish economic growth after a first quarter in which the UK slowed to a near standstill. But there was a better than expected increase in the number of people in work, by 146,000 to 32.39 million, while unemployment fell by 38,000 to 1.42 million and the jobless rate remained at a 43-year low of 4.2%. Households endured a financial squeeze during most of 2017 as the average increase in wages lagged behind the growth in the cost of living. The situation began to improve earlier this year as pay overtook inflation again. But the latest slowdown narrows the gap. Official figures showed inflation running at 2.4% in April. Ben Brettell, senior economist at Hargreaves Lansdown, said the dip in wage growth poured cold water on any hope that the Bank of England’s Monetary Policy Committee (MPC) might raise interest rates in August. Howard Archer, chief economic advisor to the EY ITEM Club, said: “The strong rise in employment is obviously good news for UK consumers but April’s moderation in earnings growth highlights the funereal and erratic progress in improving purchasing power. 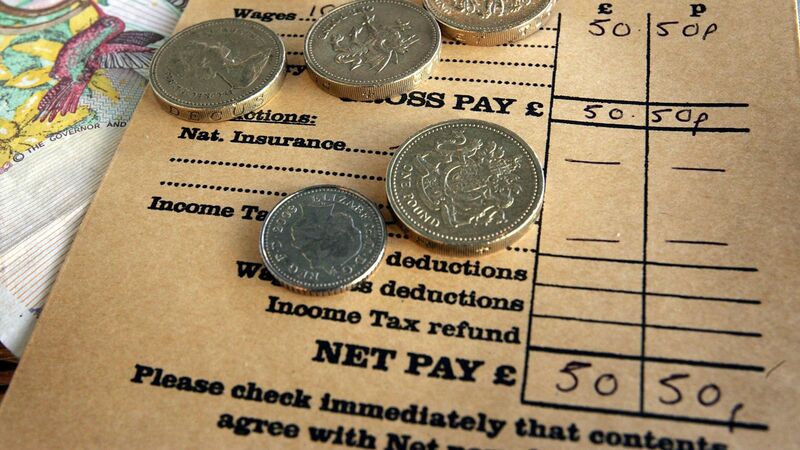 TUC general secretary Frances O’Grady said: “Wage growth is stuck in the slow lane. The Government welcomed the figures showing jobs growth.